That’s the mantra in many circles today—whether the church, the classroom, the campus, or the voting booth. Nancy Pearcey, bestselling and critically acclaimed author, offers fresh tools to break free from presumed certainties and test them against reality. 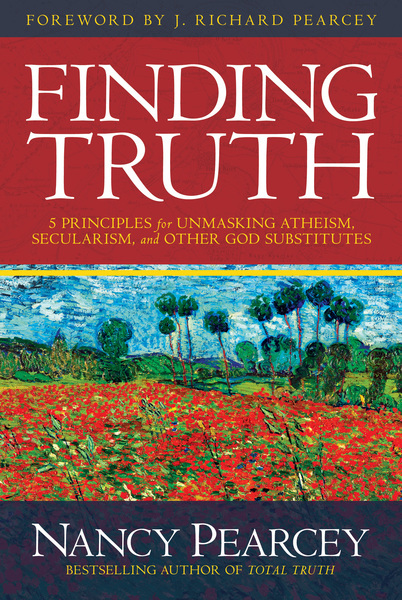 In Finding Truth, she explains five powerful principles that penetrate to the core of any worldview—secular or religious—to uncover its deepest motivations and weigh its claims. A former agnostic, Pearcey demonstrates that a robust Christian worldview matches reality—that it is not only true but attractive, granting higher dignity to the human person than any alternative. Finding Truth displays Pearcey’s well-earned reputation for clear and cogent writing. She brings themes to life with personal stories and real-world examples. And the study guide in Finding Truth was shaped by questions from readers like you, from teens to college professors, and is ideal for individual or group study.